Comments Off on Always Hover!! Don’t forget to uninstall QuickTime for windows ASAP! 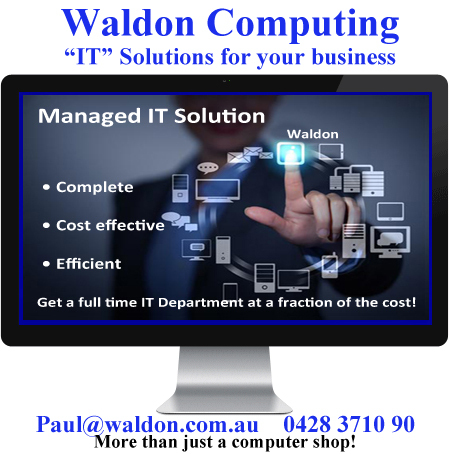 Unless you are on a Waldon Managed plan – It has already been uninstalled for you! http://blog.trendmicro.com/urgent-call-action-uninstall-qu…/ Apple has stopped support for the Windows version & there are vulnerabilities that hackers could use to compromise your computer. Comments Off on Uninstall QuickTime ASAP! Comments Off on Brace for impact! Just received the first fatality of the season – A laptop – owner was out when the storm hit. Get the best in surge protection – for less than the excess on that insurance claim! THOR POWERBOARDS – Australian owned! Discounts on two or more. Comments Off on Almost Holiday time! Comments Off on Microsoft -> Big Brother?